Last weekend, when we went for a walk after sunset, we were surprised to see ostriches strolling along the promenade. Well, they weren’t real ones. The “riders” were on stilts and wearing huge ostrich costumes, but it was still very impressive. It was one of the nights of “Prom Party” and there were seven moving stages with a different kind of live music being played on each one. The Prom Parties started the end of June and every few weeks on the specified date, the promenade was closed to traffic and filled with music and people – lots and lots of people. In the summertime, Nice is humming with activity. Tourists are everywhere, cafés are full, there is music at every turn and everyone seems to be having a good time. In this festive atmosphere it is difficult to imagine that 69 years ago, this city, as well as the rest of France, was under German occupation and the mood was very different. A sad reminder… On Avenue Jean Medecin, just at the north end of Galleries Lafayette, you will find two plaques that remind us that it wasn’t always so pleasant here. The arcades on each side of the street are named after two Resistance fighters who were hanged here during World War II. 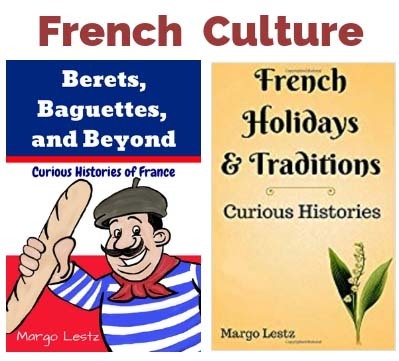 The Germans make an example… It was June 1944 and the American troops had landed in Provence. The Resistance activities had picked up and two German soldiers and a colonel were killed. The occupiers decided to put fear into the hearts of the population, so they rounded up all of the men in a village not far from here. They selected two suspected members of the Resistance and brought them to Nice, where they were imprisoned and tortured before being condemned to death by a military tribunal situated in Hotel Ruhl (where Casino Ruhl is today). They were Ange Grassi, a 40 year old Italian mason and Séraphin Torrin, a 32 year old farmer from Provence. On the 7th of July, the two men were hanged from the street lights just in front of where the two plaques are today. Then the population was forced to file past the hanging bodies. It is said that some of the Niçois came back in the night and placed flowers at the sites. These two men become symbols of the Resistance and today the arcades bear their names, Arcade Grassi and Arcade Torrin. My translation of the plaques: Ange Grassi/Séraphin Torrin “French Resistance fighters, members of FFI (Interior French Forces) were hanged here the 7th of July 1944 and left exposed for having resisted the “Hitlerien” oppression. Passerby, bow your head and remember.” And Nice does remember. Every year on the 7th of July, at sunset, the Committee of Memory of the Resistance (Comité du Souvenir de la Résistance) commemorates their deaths by laying flowers at the place where they were hanged. The Resistance gets stronger… These executions didn’t have the effect that the Germans had hoped for. Instead of weakening the Resistance, it grew stronger. In late August, the American army was just across the Var River from Nice. The Army and the Resistance were in contact through messengers who would sneak across the river. The Niçois found out that the general in charge of the American troops had decided that instead of crossing the Var and coming into Nice, he would go in another direction. So the Niçois took things into their own hands. Nice liberates itself… On the 28th of August there was a violent general uprising against the Germans and the 2,000 or so troops (those that were not taken prisoner or killed in battle) fled the city. When the Americans learned that Nice was liberated, they came in to make sure the city stayed secured and to pursue the fleeing German troops. 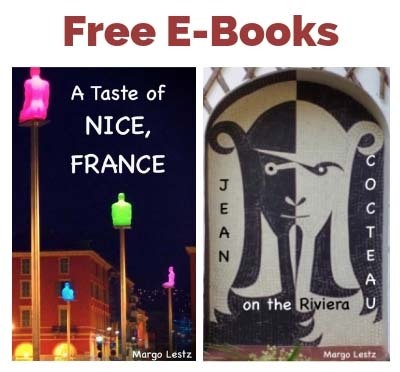 When the Americans arrived two days later, Nice was free and there wasn’t a bottle of champagne to be found in the city, because the liberation celebration had already taken place. Of course, they were still quite happy to see the American forces arrive. Nice celebrates… Every year on the 28th of August, Nice celebrates its liberation. The city is overrun by old army vehicles from World War II, soldiers in uniform, American flags and of course those who were here in 1944 and their descendents. Patriotism and thankfulness fill the air and the words of General de Gaulle come to mind, “Liberated Nice, Proud Nice, Glorious Nice”. 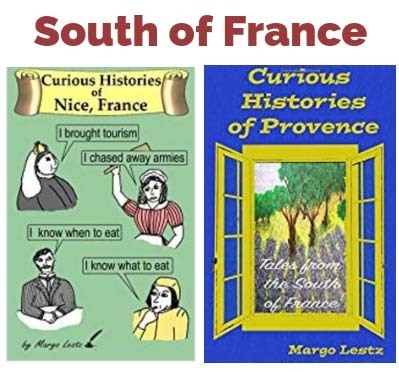 Find Out More – You can read more about the history of Nice in my book, Curious Histories of Nice, France. Your article shows so clearly the trauma that Nice went through during WWII. I think that living in a country that has been occupied by another must leave an indelible impression. Yes, I can’t imagine the fear and oppression that must have been felt. I am thankful to have never had the experience. Interesting interpretation of the 15-28 August 1944 allied invasion and subsequent liberation of Southern France. I thought the celebration was on the 28th because that was the day of surrender of the Germans during the battle of Toulon and Marseille? It didn’t seem that Nice was very much involved in the fighting. As the American 6th and 7th Army led the invasion they are often seen as the “liberators”. I think in Nice it’s a celebration of both the liberation of southern France by the allies and the liberation of the city of Nice by the Niçois. The Americans are certainly honoured with a parade of US army vehicles and American flags. But the Niçois are also proud that they liberated their city just before the allies got here. Of course, without the allied forces being so close and the Germans realising that their loss was inevitable, it might not have happened this way.